We believe in equal rights here at The Wedding Pink. It is always delightful to show the bride trying on wedding dresses and it is just as much fun to show the groom at his tux fitting. 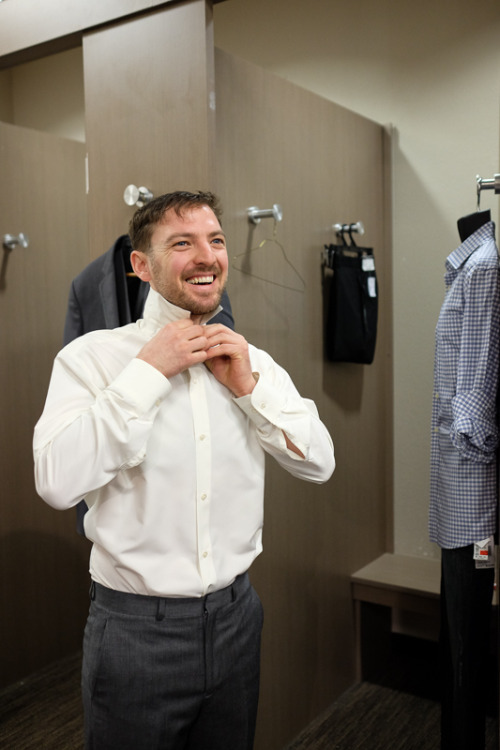 Recently I joined Mike at the Men's Wearhouse in Park Meadows mall and for those of you who do not know, Men's Wearhouse is donating Mike's tux. In case you are wondering Mike will be sporting a slightly different look at the wedding!